Christmas is my favourite time of year! I actually love Christmas even more than I love my own birthday, because a birthday is really just a day all about you, where only you receive presents. I like the fact that we each have a day to ourselves but Christmas is so much more. Everyone is excited when Winter’s main day arrives, where children gather their stockings around the Christmas tree, digging there hands down to where they pull out a sugarcane, chocolate orange or a small prezzie! 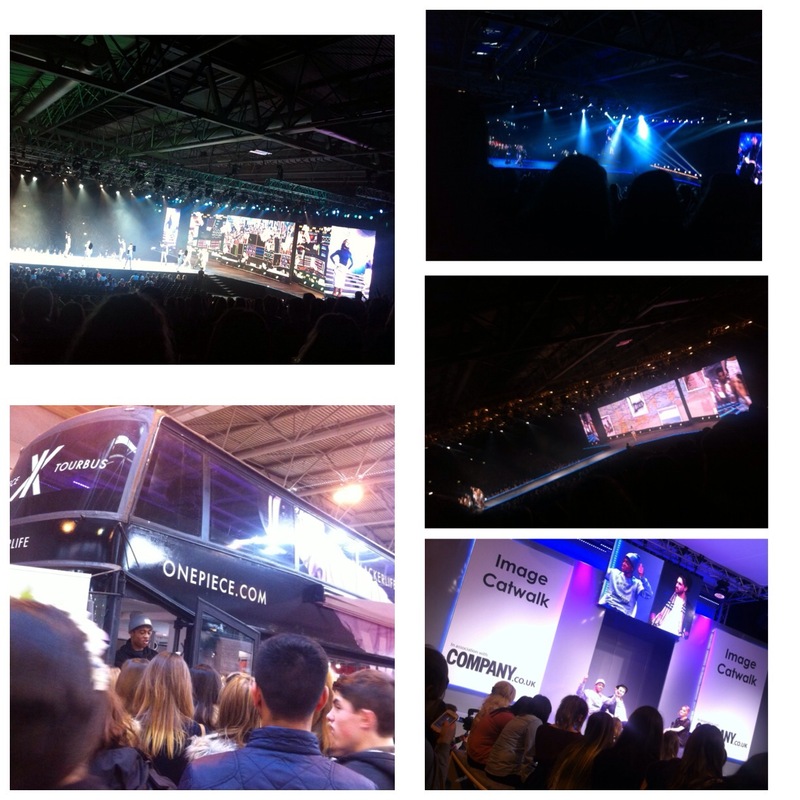 But before Christmas arrived, I wanted to tell you all about a great trip I survived to Birmingham on Monday 8th December with my textiles class from school. By surviving I mean, the money, shopping almost became a torture as there were so many pretty looking stalls full of interesting accessories and clothes. At first, one person at a stall asked me and a friend of mine, Shai , if we would like to have a quick free ‘makeover’ (a face brighter and a quick sharpen of the brows with their stall’s own make up range) . Obviously, as it was for free we both decided to say yes. I actually couldn’t tell there was much difference but it was almost as if someone had applied a small amount of foundation on my face. This woman did keep on going on about being a pro makeup artist, so who could complain that I don’t look pretty in this photograph. Really to tell the truth, I am a terrible shopper sometimes. Our teacher even advised us not to go and buy the first thing we see that we like. I kept myself stable for a little longer until the best bits and bobs streamed to my eye lids… I spent £5 on a glittery lips set by ciatè soon after we entered the damn place. It’s red, glittery textured feel may bring a cool vivid partying feel to it’s surroundings, and it’s interesting style is quite unique. I bought myself a £10 goodie bag by a brand called w7. I payed for one bag plus they gave me another for free. Now I feel slightly disappointed as it would’ve been better if I had bought myself the Rimmel London goodie bag, or the Barry M or Modelsown, as these were the goodie bags most people held in there hands around the entire building. There was even a goodie bag of the actual show, which I regret not buying. Each and every one of these goodie bags cost £10 or even £5 each, so yep I do regret not buying all and more. Later in the day, I went to go and check out Rimmel London’s goodie bags but unfortunately A) Kate moss’ collection was sold out B) the cash machines had ‘broken down’ …. Damn! Afterwards we strolled around the place for a while until I saw a cool stall selling many different, illustrated totes, by guess who? Talented Totes! There were so many nice bags to choose from, but in the end I decided to buy the tote with written a quote by Anne Bronte, in a cool handwriting printed on a soft thin silky-like fabric. Best buy so far! I found this in an area of the huge room full of Asos shops. Next, Shaijanna and I were trying on some cute floral tiara -like headbands which only cost a pound each. Unfortunately, I didn’t have anymore money on me, so Shai very kindly lent me a £1, (later I decided to give her one of my lip balms from one of the goodie bags) . Mine has a sort of vintage style among it, and it matches my hair colour with it’s smoked coral + purpley + brown + creamed colours. Half an hour before we had to attend our show Shai met someone who was familiar to her but not to me. 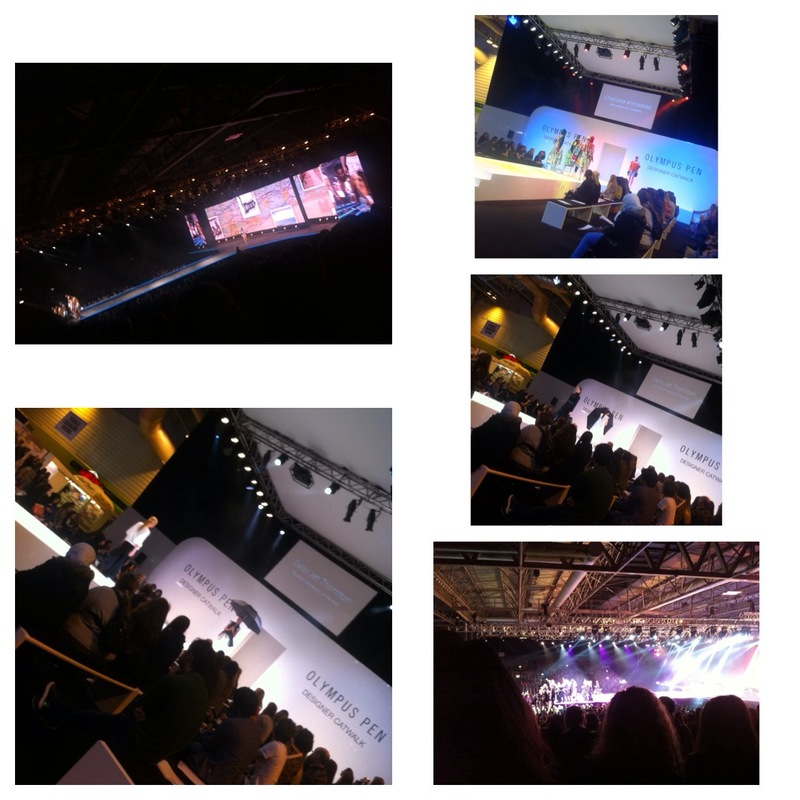 MazziMaz, a youtuber vlogger I had actually never heard of was there at the clothes show live. Of course, Shai wanted to see his face again, so she really wanted us to go and do a meet and greet session with him, although he was walking out of the double decker bus which stood within the building. He was walking towards the image catwalk in association with company.co.uk, where he was about to be interviewed with another youtuber by the hostess of one of the shows. He was so funny during his interview, and even modelled across the stage in a sarcastic manner where he didn’t put much effort into his walking! He and the ‘other’ youtuber were apparently friends since they were even younger than they already are. The clothes were absolutely superb, unbelievably beautiful, some even held some humour, wearing masks and one wore a ketchup bottle covering their back. Although most were just absolutely beautiful, some fluffy styled dresses which looked very similar to those designed by Kate Moss at Topshop, as you guys know is my favourite shop ever! 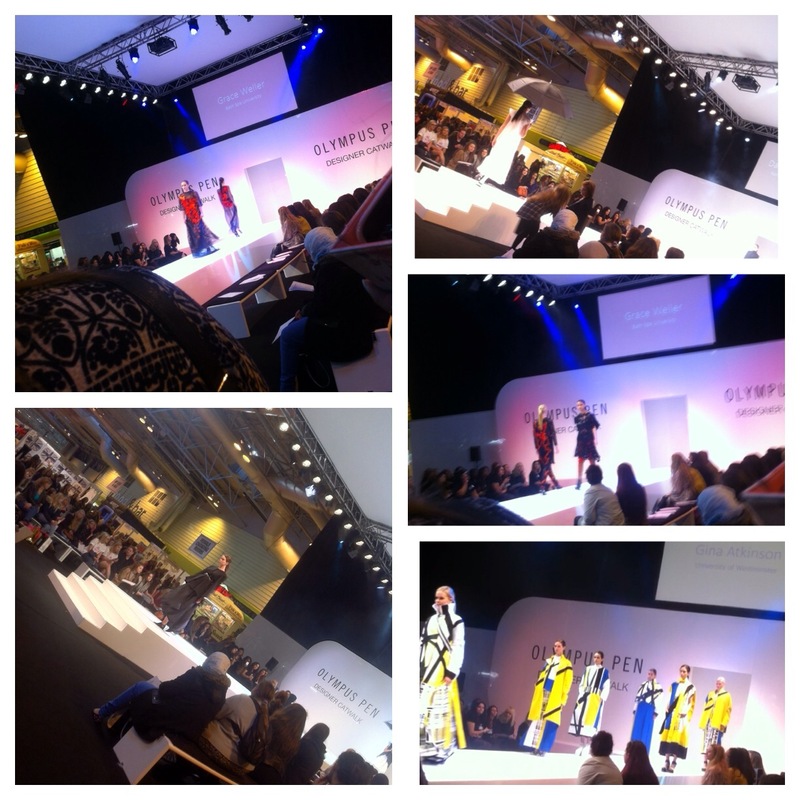 The show was full of music and fashionable clothes worn on the catwalk. By music I mean, yep the music in the background all models were accompanied with whilst modelling, but also a live performance of a band was playing. In front of our eyes, a young group of boys, all members of the band ‘Stereo Kicks’, finalists of the pop show x-factor sang their own fun version of the song ‘Let It Be’ by the Beatles.